Sicily, and Italy (Monte Cassino,and Gothic line). seventy years after the start of the Second World War. is to be dedicated as part of an emotional "last campaign" by veterans. role in the allies' ultimate victory has long been overlooked, said organisers. Memorial Arboretum on 19 September. personal accounts of surviving veterans. be cruelly denied them in the postwar world." Parade in London at Stalins insistence. second world war. Much of the £300,000 came from the public. Corps at Katyn Forest, Russia, in 1940. Captured by the Russians after the partition of Poland in 1939,Anders was released from the Lubianka prison, Moscow, in 1941 to lead the Polish POWs from Russia into Persia, where the British had offered to arm and equip them to fight against the Germans in the Western Desert where they acquitted themselves with great distinction. 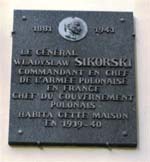 The resulting corps, Polish II Corps, became one of the most redoubtable military formations of the war. Its principal, and unforgettable, achievement was to capture Monte Cassino, 17-18 May 1944, after three costly previous attempts had failed. Anders subsequently led it in the battles up the Adriatic Coast and in the clearance of the Po Valley. until his death when he was reunited with his fallen comrades in the Polish cemetery at Monte Cassino. 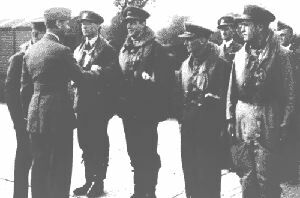 The Polish l Corps was again formed from POWs captured by the Soviets and fought as part of the Red Army under Soviet officers. They were part of the assaulting force at the battle for Berlin. After the war, they formed the nucleus of the army of the puppet communist state of Poland. D`you see those ruins on the hill-top? There your foe hides like a rat! Grab his neck and cast him from the clouds! As always - for honour - to fight. Instead of dew, drank Polish blood. For the anger was more potent than death. Will be redder having quaffed Polish blood. Like the men at Rokitno years ago. They placed on the ruins `midst clouds. D`you see this row of white crosses? 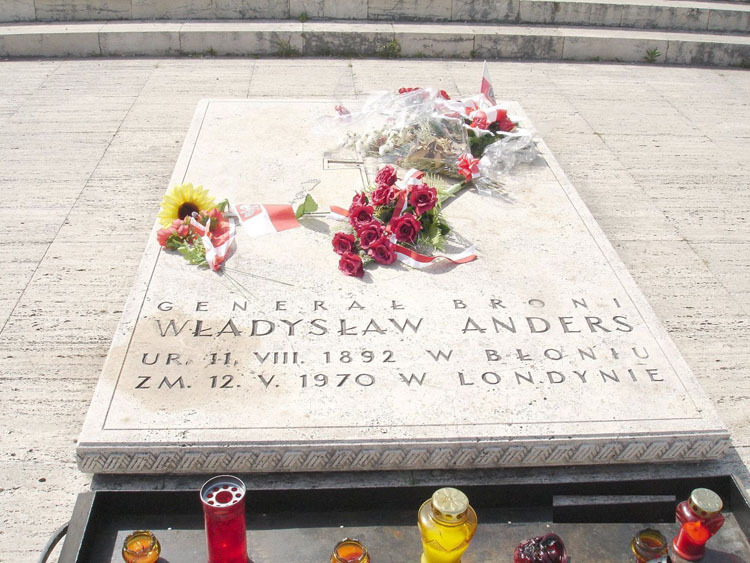 Polish soldiers did honour there wed. The more of such crosses youl'l meet. When history from justice does stray. Red Poppies on Monte Cassino. Tam wróg twój sie kryje jak szczur! Za kark wziac i stracic go z chmur! Jak zawsze za honor sie bic. Lecz od smierci silniejszy byl gniew! Czerwiensze beda, bo z polskiej wzrosna krwi. Runeli przez ogien, stracency! Jak ci spod Rokitny, sprzed lat. I doszli. I udal sie szturm. Zatkneli na gruzach wsród chmur. Czy widzisz ten rzad bialych krzyzy? To Polak z honorem bral slub. Tym wiecej ich znajdziesz u stóp. Historia ten jeden ma blad. "The red poppies on Monte Cassino instead of dew were drinking Polish blood..." the lyrics of a soldiers' song written on the battlefield commemorate one of the greatest achievements of Polish armed forces during World War II-the Battle of Monte Cassino in May 1944. The Battle of Monte Cassino, also called the Battle of Rome, was fought on the Italian front in 1944. 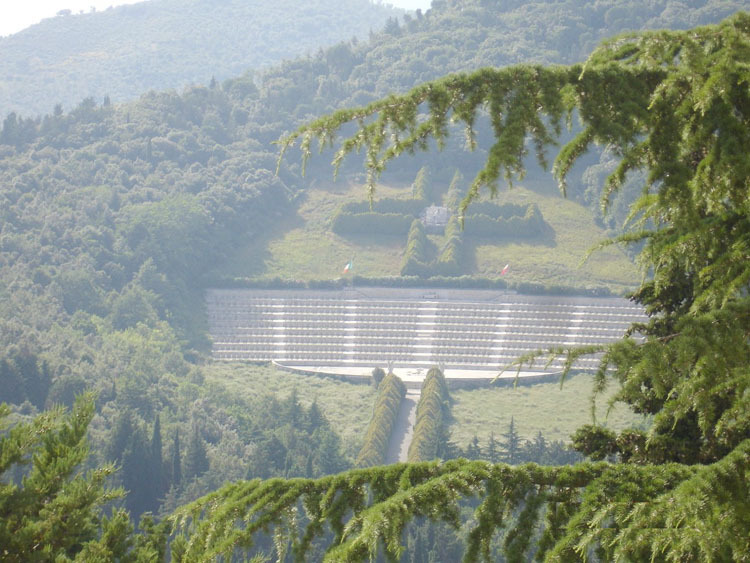 The Germans who defended themselves in Italy built a line of fortifications, the "Gustav and Hitler Lines," across the Apennine Peninsula around 120 kilometers to the south of Rome. The Allies tried to break the strongly fortified Gustav Line in the Liri river valley through which they could have access to Rome. 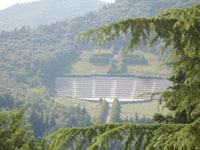 The key point of the German defense in this area was Monte Cassino with the Benedictine Abbey atop the hill. The 15th Army Group, under Gen. Harold Alexander's command, fought on the Italian front. The Group was composed of the 5th U.S. Army, British 8th Army, including Polish 2nd Corps under Gen. Wladyslaw Anders, and French Expeditionary Corps. The enemy was the German C Army Group under the command of Field Marshal Alfred Kesselring. Three attempts to break the Gustav Line-in January, combined with an Allied landing operation near Anzio, and in February and March 1944-ended in failure. Only the fourth attack of the Allied forces along the whole front-line was successful. 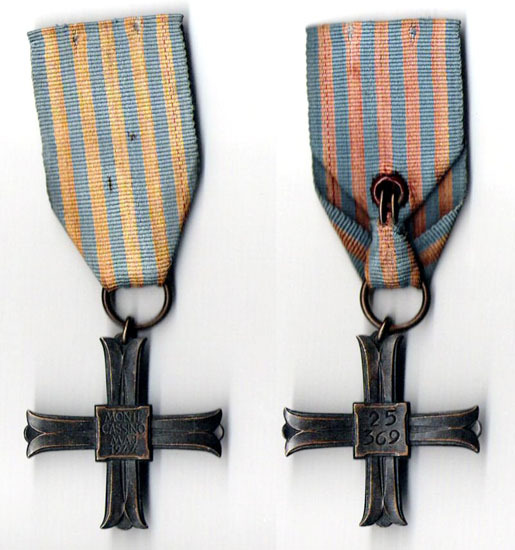 The operations of the Polish 2nd Corps were decisive for the final success in breaking the German defence. The Polish Corps' participation in this battle was important both militarily and politically. The point was to show the world that Poland, although defeated in 1939, was still fighting and to raise the spirits of the Polish people in their German-occupied homeland. This was clearly emphasized by Gen. Anders in his assault order: "Soldiers, Time has come to start fighting. We have lived to see the moment when we will be taking revenge on our eternal enemy. The British, American, Canadian and New Zealand Divisions as well as French, Italian and Indian units will be fighting with us shoulder to shoulder. The task we have received to perform will bring glory to the Polish soldier across the world. In the belief of providence's justice, we will go forward with the holy motto in our hearts: 'God, Honour, Homeland!" The fourth assault on the Gustav Line started on May 11, 1944. The British Army attacked along the Liri river valley and the Polish 2nd Corps launched an attack on Monte Cassino and surrounding hills. This is where select German units-a parachute division and mountain riflemen's battalions-were conducting a defense. The Polish Corps, advancing on Monte Cassino in a difficult mountainous terrain defended by numerous bunkers and minefields, suffered heavy losses. 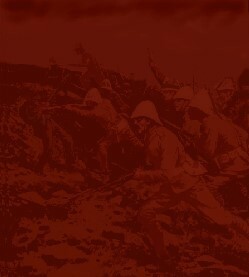 Although the first companies were decimated in bloody battles and had to withdraw, they engaged the main German forces which enabled the British troops to cross the Liri and Rapido rivers. Another attack started in the night of May 16 with the capture of the "Phantom" (Widmo) hill. During two-day bloody battles the Poles were pushing the Germans back from one position after another. At the decisive moment, Gen. Anders sent all reserves to battle-even drivers, cooks and war corespondents fought at the front line. The Germans, facing a threat of being cut off by the Polish assault and the British troops advancing in the Liri river valley, pulled out from Monte Cassino. 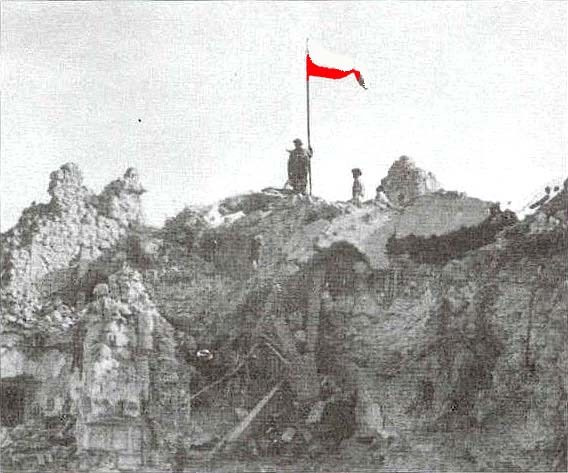 On May 18, a patrol of the 12th Regiment of Podolia Uhlans reached the monastery and raised the Polish flag on the ruins. Troops of the 2nd Corps chased the Germans who tried to defend themselves near Piedimonte on the Hitler Line. The Poles took over this position as well. Thanks to the victorious battle of Monte Cassino the road to Rome was opened for the Allies. The city was liberated on June 4, 1944. 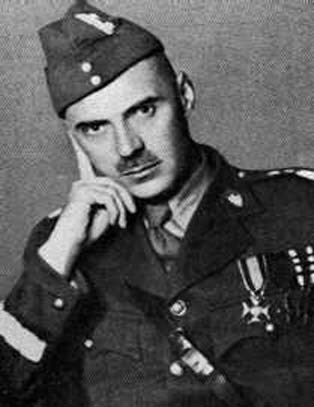 Gen. Harold Alexander, the chief commander of the Italian front, had a high opinion of Polish troops: "Soldiers of the Polish Corps, I can honestly and openly assure you that if I had the opportunity to choose soldiers which I would like to have under my command I would choose you, the Poles," he wrote after the battle to Polish soldiers. The Polish 2nd Corps paid a high price for the Monte Cassino victory-it lost 4,199 men, including 924 killed. The Germans lost over 1,100 soldiers. A campaign has been launched to build a permanent memorial to a bear which spent much of its life in Scotland - after fighting in World War II. 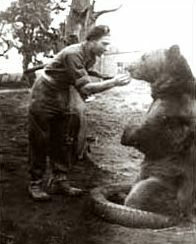 The bear - named Voytek - was adopted in the Middle East by Polish troops in 1943, becoming much more than a mascot. The large animal even helped their armed forces to carry ammunition at the Battle of Monte Cassino. Voytek - known as the Soldier Bear - later lived near Hutton in the Borders and ended his days at Edinburgh Zoo. He was found wandering in the hills of Iran by Polish soldiers in 1943. They adopted him and as he grew he was trained to carry heavy mortar rounds. When Polish forces were deployed to Europe the only way to take the bear with them was to "enlist" him. So he was given a name, rank and number and took part in the Italian campaign. He saw action at Monte Cassino before being billeted - along with about 3,000 other Polish troops - at the army camp in the Scottish Borders. The soldiers who were stationed with him say that he was easy to get along with. "He was just like a dog - nobody was scared of him," said Polish veteran Augustyn Karolewski, who still lives near the site of the camp. "He liked a cigarette, he liked a bottle of beer - he drank a bottle of beer like any man." When the troops were demobilised, Voytek spent his last days at Edinburgh Zoo. Mr Karolewski went back to see him on a couple of occasions and found he still responded to the Polish language. "I went to Edinburgh Zoo once or twice when Voytek was there," he said. "And as soon as I mentioned his name he would sit on his backside and shake his head wanting a cigarette. It wasn't easy to throw a cigarette to him - all the attempts I made until he eventually got one." Voytek was a major attraction at the zoo until his death in 1963. Eyemouth High School teacher Garry Paulin is now writing a new book, telling the bear's remarkable story. Local campaigner Aileen Orr would like to see a memorial created at Holyrood to the bear she says was part of both the community and the area's history. She first heard about Voytek as a child from her grandfather, who served with the King's Own Scottish Borderers. "I thought he had made it up to be quite honest but it was only when I got married and came here that I knew in fact he was here, Voytek was here," she said. "When I heard from the community that so few people knew about him I began to actually research the facts. It is just amazing, the story is totally amazing." 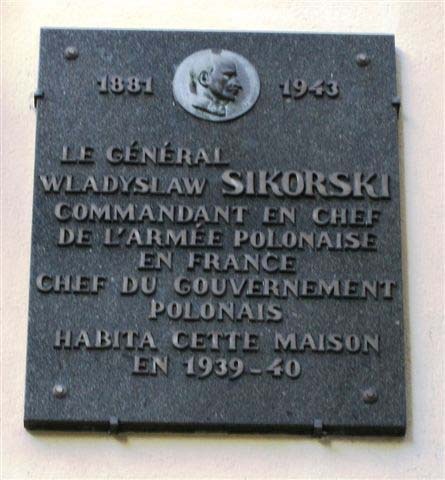 Just returned from a short stay in Paris very surprised to see the small hotel we stayed in was the base for the Head of the Polish Army in Europe who was also the Chief of the Polish Government Wladyslow Sikorski I think he too became Chief of the Polish Government.